Finding yourself always on the rush but wanting rice for breakfast? Say no more— the new Cheesy Omelette Bowl (P50 a la carte) from McDonald’s is the latest addition to the Breakfast McSavers, perfect for those looking for on-the-go, affordable, and delicious morning eats! The new Cheesy Omelette Bowl, launching today, March 18, is sure to be a popular breakfast favorite, with the familiar and favorite Pinoy breakfast staples of egg and garlic rice to satisfy your morning cravings. The Cheesy Omelette Bowl is a cheesy omelette filled with crumbled bacon bits and juicy mushroom slices on a bed of garlic rice. Because it comes in a bowl, it’s perfect for eating your breakfast with no hassle at all — whether you’re in the car stuck in traffic, waiting in the long line to ride the shuttle, or simply just waiting in between hours for your next meeting. 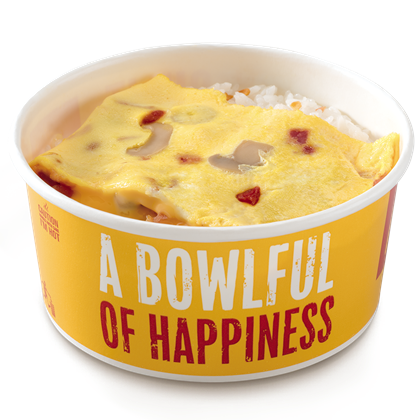 Grab McDonald’s Cheesy Omelette Bowl for only P50 ala carte. This is also available as a meal with McCafé Premium Roast Coffee. Enjoy other delicious McDonald’s Breakfast McSavers like the 2-pc Hotcakes (P50), Cheesy Eggdesal (P39) and McCafé Premium Roast Coffee (P29). Prices may vary in select stores.